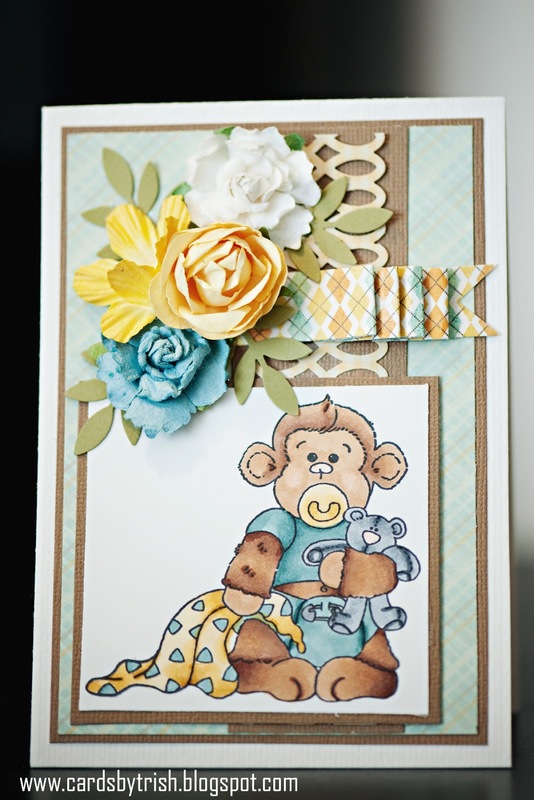 CARDS BY TRISH: Welcome Baby! Finally enjoying some "spring" like weather here today!! I've had my office door and windows open enjoying the breeze...pure bliss! It's baby themed this week over at Moving Along with the Times and I thought I'd join in!